Costa Rica on Thursday created a massive new marine protected area in the Eastern Tropical Pacific, which conservationists hope will offer endangered marine species such as hammerhead sharks and leatherback turtles a place of respite to recover from increasing pressures from humans. The protected area, called “Seamounts Marine Management Area” or Area Marina de Manejo Montes Submarinos, extends close to 2.47 million acres around the Cocos Islands. This extends by five times the existing National Park, which is currently a fully protected non-fishing zone and UNESCO World Heritage Site. The new sea park is larger than Yellowstone National Park in the United States. Cocos Island lies 342 miles off the coast of Costa Rica in the Pacific Ocean. Just 12 miles around, it’s sometimes called “Shark Island” because of the white tipped reef sharks, whale sharks, and scalloped hammerhead sharks that live near there. The decree creating the marine reserve was signed by Costa Rican president Laura Chinchilla Miranda on Thursday March 3. Costa Rica decreed a “day of national pride” for the announcement. “Creating a protected seamount area sets an important precedent. Sea mounts host endemic species, and the deep water that upwells along their sides brings nutrients that support rich feeding grounds for sealife on the surface. 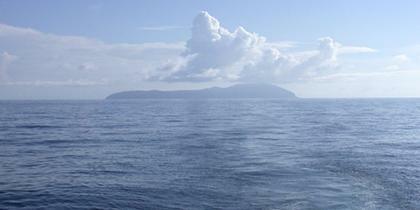 Seamounts serve as stepping stones for long-distance, migratory species, including sharks, turtles, whales and tuna. So we applaud the vision of the Costa Rican President, Laura Chinchilla Miranda, as well as the Minister and Vice Minister of Environment in making this historic move,” Costa Rican Marine Program Coordinator for Conservation International, Marco Quesada said in a release. The area is home to leatherback turtles, listed as critically endangered on the IUCN Red List of Threatened Species. The Costa Rican population has declined 90% in the past 20 years, due in part to the loss of eggs to illegal harvest in nesting sites. 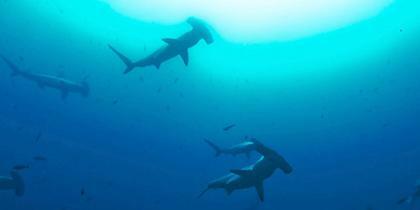 Scalloped hammerhead sharks, also on the globally endangered species list, also live in the waters. They are targeted by fishermen for their fins.